Michael Roub brings more than two decades of diverse business expertise to provide strategic direction and leadership to business owners and management teams. As a consultant, coach, and advisor to healthcare practices and small to midsize businesses, Michael Roub utilizes his depth and breadth of experience to provide strategic direction to owners as they grow, sell, or restructure their businesses. Michael Roub is a Managing Partner and Founder of Inflection 360. He has spent the past two decades providing strategic direction and leadership to healthcare practices, business owners and management teams. When Michael was acquiring healthcare practices for each of Western Dental Services and US HealthWorks, he consistently found that the practice owners were failing to get the highest value for their businesses. Michael wanted to level the playing field for healthcare practice and business owners when selling to a larger competitor or financial sponsor. Since Michael is a former member of senior management at multiple healthcare companies, he and Inflection 360 are well equipped to help providers develop, grow and successfully exit their practices. Michael Roub, Managing Partner and Founder of Inflection 360, began his career in investment banking, where he worked with numerous major corporate clients on equity and debt capital raising, mergers and acquisitions, and corporate restructuring engagements. Having earned a BS in Economics from the Wharton School of Business at the University of Pennsylvania and an MBA from the University of Chicago Booth School of Business, Michael has spent the past two decades providing strategic direction and leadership to clients, business owners, and management. The genesis for Inflection 360 came about when Michael was acquiring healthcare practices for each of Western Dental Services and US HealthWorks. He consistently found that the practice owners were failing to get the highest value for their businesses. Michael realized that these owners would benefit significantly from working with a team that had been on the buy side of so many transactions. Effectively, he wanted to level the playing field for the healthcare practice and business owners when selling to a larger competitor or a financial sponsor. As a former investment banker, Michael has worked with companies across several industries, and he brings best practices from each to Inflection 360 clients. Since Michael is a former member of senior management at multiple healthcare companies, he and his company are well equipped to help providers develop, grow and successfully exit their practices. Michael focuses on client relationships, where he can provide hands-on guidance and work as a collaborative partner to senior management. A consultant, coach, and advisor, Michael looks to utilize the depth and breadth of his experience to deliver a comprehensive perspective on business challenges and opportunities. He has demonstrated success in established, start-up, turnaround and growth businesses. Michael and his family currently live in Los Angeles. Michael actively volunteers, and in recent years, has been particularly involved as a volunteer and fundraiser for Making Strides Against Breast Cancer, as a board member for the local high school and youth lacrosse programs, and with the University of Pennsylvania as an alumni interviewer for applicants. In addition to Michael’s impressive career and success, Michael is an avid sports fan, loves to travel and has met numerous world leaders visionaries and celebrities, including Elon Musk, Neil Armstrong, Colin Powell, John Wooden, Magic Johnson, Anderson Cooper, and many others. Michael Roub, Managing Partner and Founder of Inflection 360, began his career in investment banking, where he worked with numerous major corporate clients on equity and debt capital raising, mergers and acquisitions, and corporate restructuring engagements. Michael also was a finance executive at a Silicon Valley start-up prior to entering the healthcare sector in 2002. Having earned a BS in Economics from the Wharton School of Business at the University of Pennsylvania and an MBA from the University of Chicago Booth School of Business, Michael has spent the past two decades providing strategic direction and leadership to clients, business owners, and management. Michael started Inflection 360 to provide hands-on, collaborative consulting to management teams, with a focus on healthcare practices and small to medium-sized businesses. The genesis for Inflection 360 came about when Michael was acquiring healthcare practices for each of Western Dental Services and US HealthWorks. He consistently found that the practice owners were failing to get the highest value for their businesses. Few owners were well prepared to sell their business. Their advisors, if they had any, failed to help them put in the extra work to make their business stand out amongst competitors. Michael realized that these owners would benefit significantly from working with a team that had been on the buy side of so many transactions. Effectively, he wanted to level the playing field for the healthcare practice and business owners when selling to a larger competitor or a financial sponsor. Prior to starting Inflection 360, Michael held executive positions with multiple healthcare companies. He was VP of Business Development focused on acquisitions at each of U.S. HealthWorks and Western Dental. Michael also led operations and new site development for a multi-specialty surgical center business that was acquired by a public company. Michael focuses on client relationships, where he can provide hands-on guidance and work as a collaborative partner to senior management. His firm belief is that you have to truly engage with the client to understand their strengths and challenges before you can develop a strategic plan for success. A consultant, coach, and advisor, Michael looks to utilize the depth and breadth of his experience to deliver a comprehensive perspective on business challenges and opportunities. He has demonstrated success in established, start-up, turnaround and growth businesses. 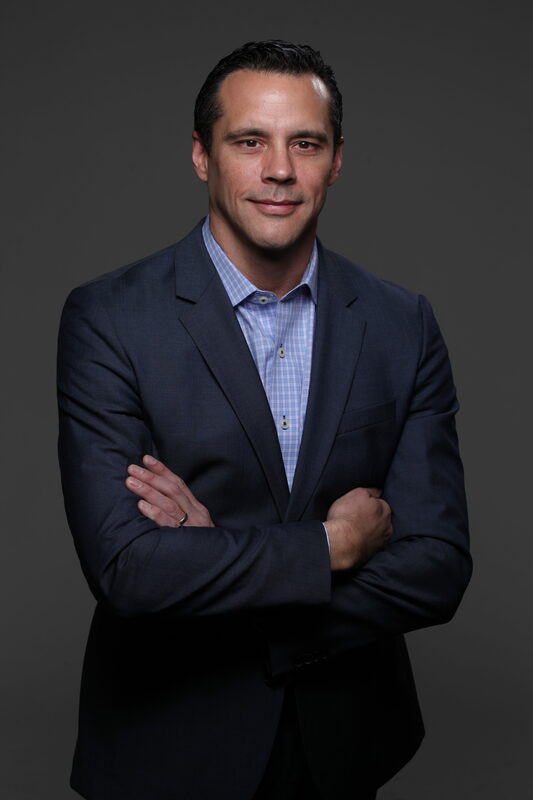 With more than two decades of diverse business expertise, Michael brings a “roll up my sleeves” approach to collaborate on critical areas of business focus and drive maximum value. Michael currently lives in Los Angeles. Michael actively volunteers, and in recent years, has been particularly involved as a volunteer and fundraiser for Making Strides Against Breast Cancer, as a board member for the local high school and youth lacrosse programs, and with the University of Pennsylvania as an alumni interviewer for applicants.